While I was writing this post, I listened to Vienna by Plasi. Try it ! I can't remember exactly when and where I learned that M.A.C. 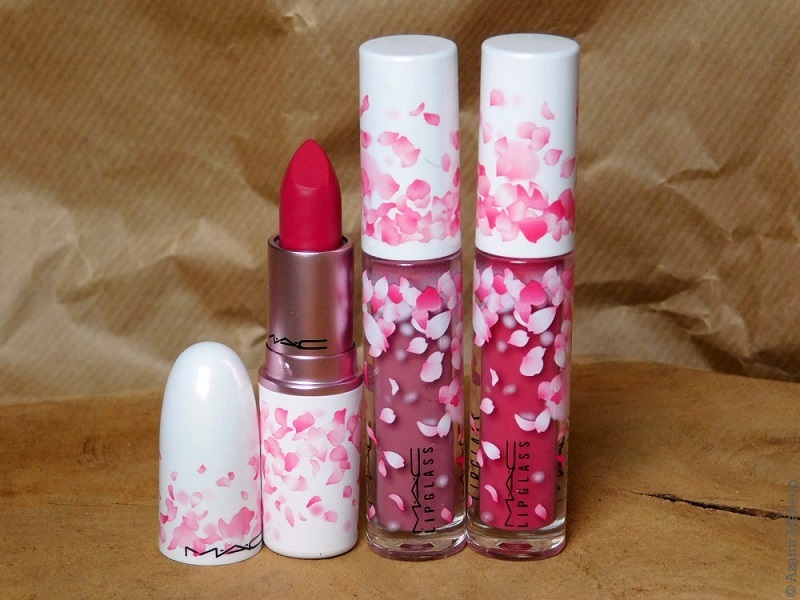 was going to release a cherry-blossom themed spring collection, probably on Instagram. Anyway, when I first saw the pictures of the products of this rather large collection, I was in love at first sight. I've never thought of myself like a pink kind of girl but I am indeed a pink kind of girl - especially brights. The UK got the collection almost a month before we did at the Champs-Elysées store but I can tell you one thing - the very day we got the collection, I got all the products I had been eyeing from afar. Just couldn't risk my faves being sold out before I could get them, right ? I love that name, it sounds so cute and it sounds a bit like the impact that M.A.C. wants to have with that collection. As I said, this limited-edition collection is rather large since there are 5 lipsticks, 4 lipglasses, a cherry-blossom scented Fix+, two highlighting powders, a 9-eyeshadow palette and an already-existing Strobe Cream in the shade Peachlite if I'm not mistaken. 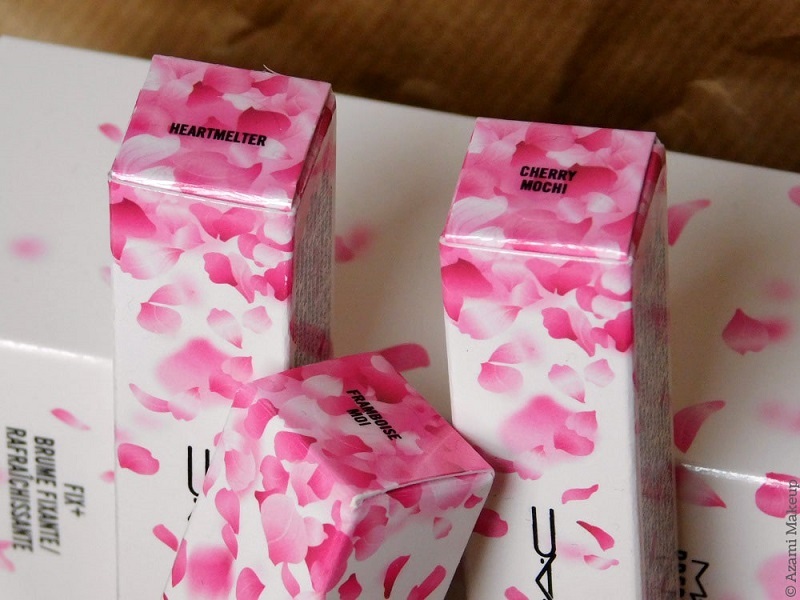 All the products have that super girly cherry blossom packaging that is actually a tiny bit different than the ones you can usually find when you think cherry-blossom - here, there's like an explosion of flower petals on the products. I usually don't care for product packaging but I am dead in love with this and I'm not even thinking of depotting the lipstick I got. I have got to say, I don't use that much Fix+ to spray over my face in my day to day life. I got this one partly because I was in love with the smell and how fine and light it feels on my skin compared to the Pinklight one I already own. 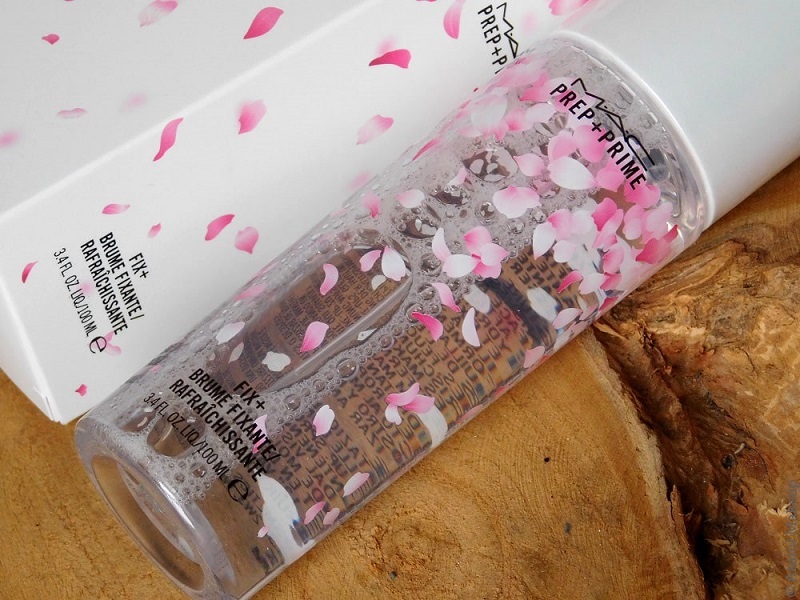 My goal with this is to spray it over eyeshadows to make them more metallic - that Cherry Blossom is the first Fix+ I have actually bought myself since the one I have was a gift and I'm happy to have the memory of getting this beauty for myself. I've been a sucker for M.A.C. Lipglasses for some time now but I can't bring myself to buy any more because I just want so many shades that I have much trouble choosing shades. My very first M.A.C. lipglass was Spice that I got almost a month ago and you can't imagine just how much I love it. 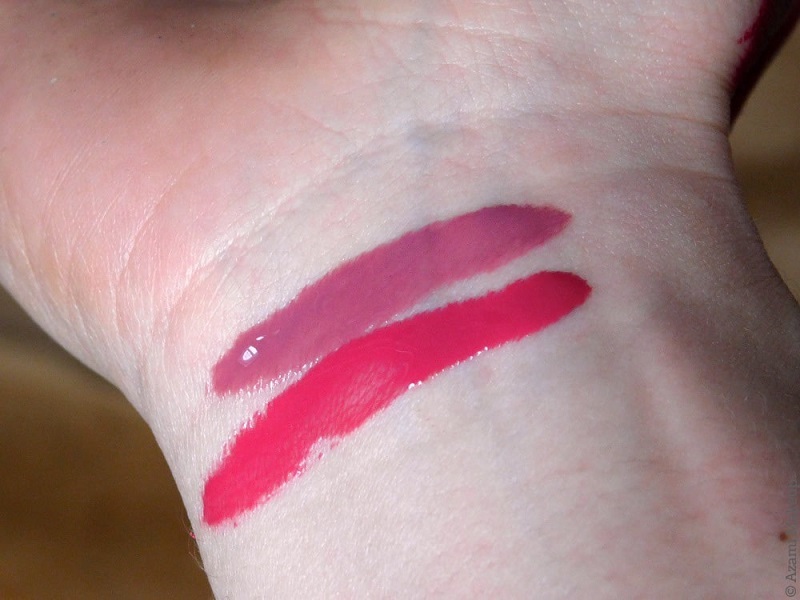 These two are superb additions to my collection since the colors are very different from all the other lipglasses we're selling at the store - I got Cherry Mochi because it was obvious I would pair it with my Framboise Moi lipstick and I've already worn them together : it looks effin' awesome. Heartmelter I got because I found the color beautiful and it goes perfectly with the Soar lipliner and lipstick so I'm ready for fall - can't very well say that's a spring color ! Now that has got to be my favorite product in the whole collection. When I'm working at the store, you'll never see me wearing the same shade two days in a row but this one has captivated my heart and since the day it was released, I've already worn it three times ! 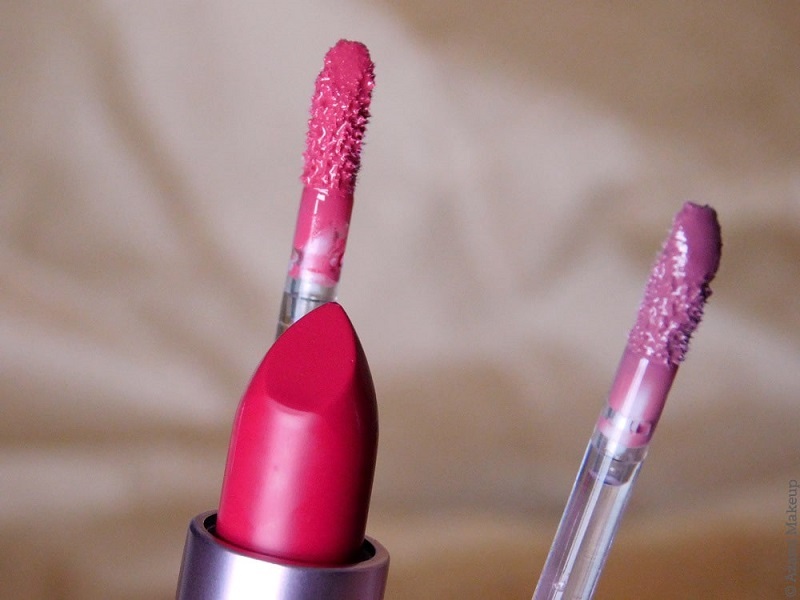 I know that raspberry shades look very good on me and I even have a whole berry-toned homemade lipstick palette - that's how much I love berry lipsticks ! 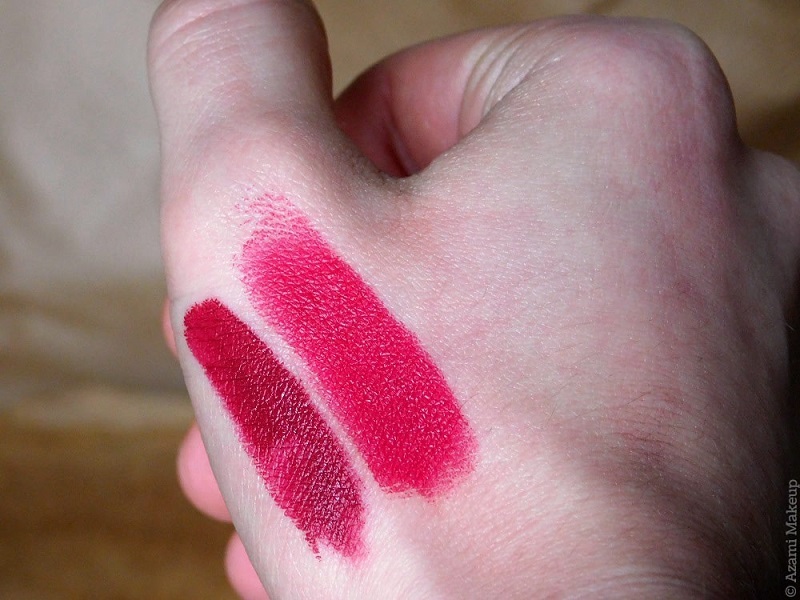 I've got it swatched on my hand, Framboise Moi is the shade on the right - I've swatched D for Danger as well on the left so you could compare both - at first I thought they'd look much alike but Framboise Moi is so much lighter and brighter ! Framboise Moi is a matte lipstick so it's comfortable at the beginning and slightly drying at the end of the day, super easy to apply and highly-pigmented which I appreciate, you know me. 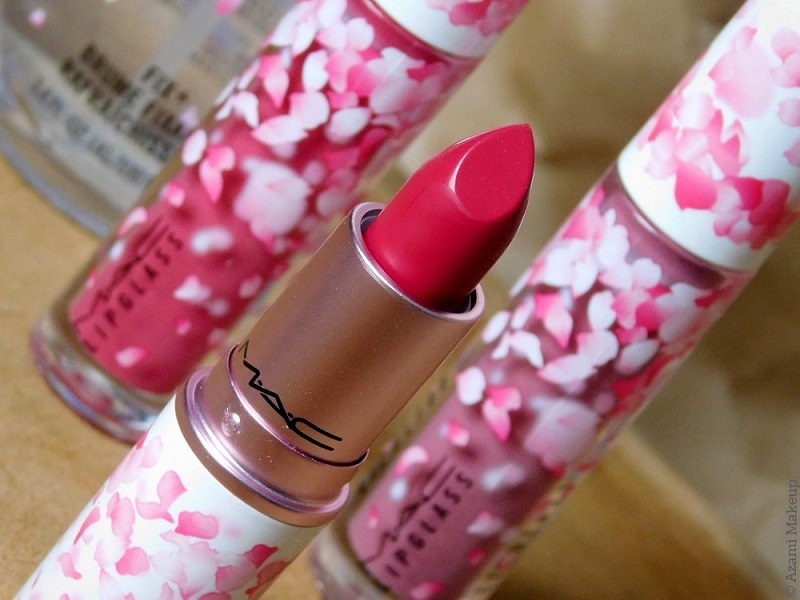 I wear this over the Beet lipliner and add Cherry Mochi on top ; you can't imagine just how good that looks ! Whenever I wear this combo, I can't stop staring at my lips in the mirrors ! It looks like melted candy, melted raspberry and super shiny, my God, I can't even ! I'm crazy about this collection, you should totally check it out, especially that raspberry shade ; it usually suits most skintones and faces !